A double convection oven in a newly remodeled kitchen. Whether you're shopping for a residential or commercial oven, the best double convection oven will have the features you need at a price within your budget. Designs and styles of double convection ovens differ from manufacturer to manufacturer, but the basics remain the same. The oven are either gas or electric powered, mounted or stand-alone, and come in a variety of finishes. You can spend hundreds of dollars or thousands of dollars on an oven. Commercial ovens cost more but they also withstand greater amounts of wear and tear. Consider how long it will take to repay the investment of a commercial double convection oven before buying. Beware if the number starts to run into several years — eventually, the oven will require expensive maintenance which adds to its overall cost. A residential oven costs about as much as a refrigerator or washer and dryer set. If cooking and baking aren't important to you, spend less. For the at-home chef, the more expensive oven may be worth the price. Consider the requirements of your kitchen. Whether you're choosing a mounted double convection oven or a stand-alone, measure the space to make sure you get the correct size. You will need the depth, height and width of the area where the oven will be installed. Ovens are either gas or electric powered. If you are unsure if your oven is gas or electric, you can tell one of two ways. If it is a range, and has a flat, glass top or round heating elements, you have an electric range. If it is a mounted oven and has burners instead of an electric element, you have a gas oven. Think about what style of oven, including color and finish, you prefer in your kitchen. Commercial ovens are usually stainless steel with very little variation in aesthetic qualities. In the home, the oven usually matches the other appliances in the kitchen. 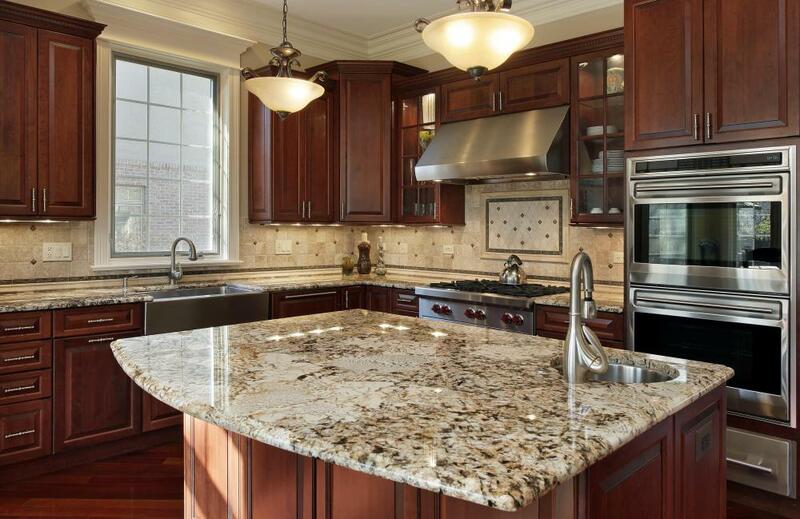 You can also integrate your range into your cabinetry for a seamless look, but this is usually very expensive. With your measurements, type of power, and style in mind, you are ready to shop. There are a wide variety of features and gadgets that are available on a double convection oven. Double convection ovens may have two ovens of the same size or one significantly larger than another. If you do a lot of baking and need two ovens simultaneously for equally sized items, you need two identically sized ovens. For cooks who occasionally need additional oven space, the double oven with two different sizes is convenient and saves space. Commercial ovens are available with separate compartments for steaming, warming, and broiling. There are also multiple sizes and numbers of racks in each oven available with varying widths and depths. Make sure that the oven can accommodate all of the pans that you typically use. Test the strength of the rack itself since it will be under the weight of heavy foods on a regular basis. Both commercial and residential ovens should be well insulated. Often, a "self-cleaning" oven is better insulated than others. Better insulation means you will use less energy to maintain the temperature in the oven as well as less energy to maintain the temperature difference of the surrounding area. In the long run, a well insulated oven will you save you money. Some oven doors have a window and some do not. Windowless ovens are more efficient and hold temperature longer. A windowed oven allows you to view the food without opening the door which also effects the temperature. In short, it's a matter of personal taste. If you do get a windowed oven, make sure the bulb inside is very bright. A timer with signal is essential to cooking with an oven. It is all too easy to step away to another project and forget about the food in the oven. Many ovens also have preset baking cycles. In some cases, they also have a "Sabbath setting" which allows those observing the Sabbath to use their oven without lighting a fire on the Sabbath. How Do I Choose the Best Large Convection Oven? How Do I Choose the Best Convection Wall Oven? What Are the Different Types of Baking Equipment? How do I Choose the Best Stainless Steel Oven? @heavanet- I use to have a double convection oven, and I loved it. The fact that I had plenty of space to prepare several dishes at one time was very convenient for me. That is why I think that this type of oven is a must for large families. @heavanet- Though they are more expensive than other types of ovens, double convection ovens have the space and cooking efficiently to prepare large meals in less time. Anyone who has a large family and is in the market for a new oven should take a look at double convection ovens and all they have to offer. If he or she can afford the investment now, this type of oven will more than pay off in the long run. Are double convection ovens practical for large families? It seems like you can use them to cook more food at one time, and that they bake very efficiently. However, I know that can be more costly than standard ovens.